Star Witness confirmed his status as the new rising star of Australian racing when he stormed home for an awesome win in today’s Group One $1 million Blue Diamond Stakes (1200m) at Caulfield. Despite jumping from an outside barrier, covering extra ground and wobbling around the final turn, Star Witness produced one of the biggest finishes in Caulfield’s Group One history to win. 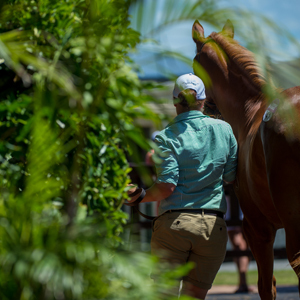 A $150,000 purchase for trainer Danny O’Brien at last year’s Magic Millions Gold Coast Yearling Sale, Star Witness has won all three of his starts to date – importantly on three different Melbourne tracks. 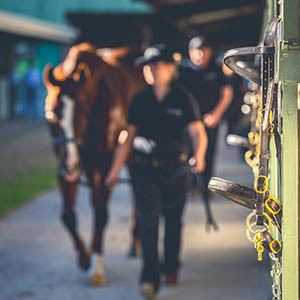 O’Brien immediately ruled out a trip to Sydney to contest the Group One Golden Slipper Stakes – a race dominated in recent years by Magic Millions graduates. 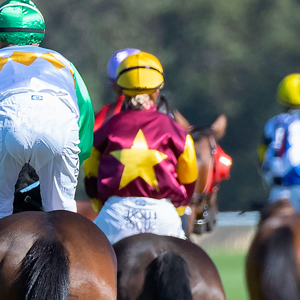 At the post Star Witness ($8-$10) held a widening half neck margin over Shaaheq ($9-$11). The favourite Beneteau ($3-$3.20) made ground in the straight to finish third, another long neck back, but he was no match for the winner, who came from behind him and went straight on by. O’Brien trained Star Witness’ dam Leone Chiara during her career as well as other members of the illustrious Alma Vale family. Winning rider Nicholas Hall said bigger and better things were likely for Star Witness as he continues to learn what the racing game is all about. “When he comes back and relaxes next time in I think he’s going to be a super horse,” Hall stated. 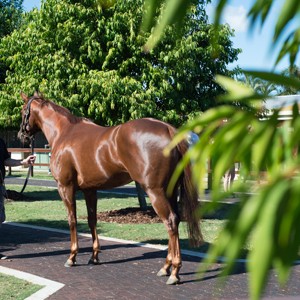 Magic Millions Managing Director David Chester was delighted with the win of the Gold Coast Yearling Sale graduate. “Traditionally the Blue Diamond isn’t a race we have many runners in and this year Star Witness was our only runner,” Chester pointed out. Chester said the win was the most incredible Blue Diamond Stakes win in recent years. With three wins from an many runs under his belt, Star Witness has shot his earnings to over $700,000. The result of the race was a great advertisement for the sponsor, Arrowfield Stud. 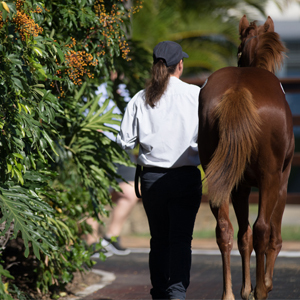 They stand Star Witness’ sire Starcraft as well as Redoute’s Choice who sired both minor placegetters.